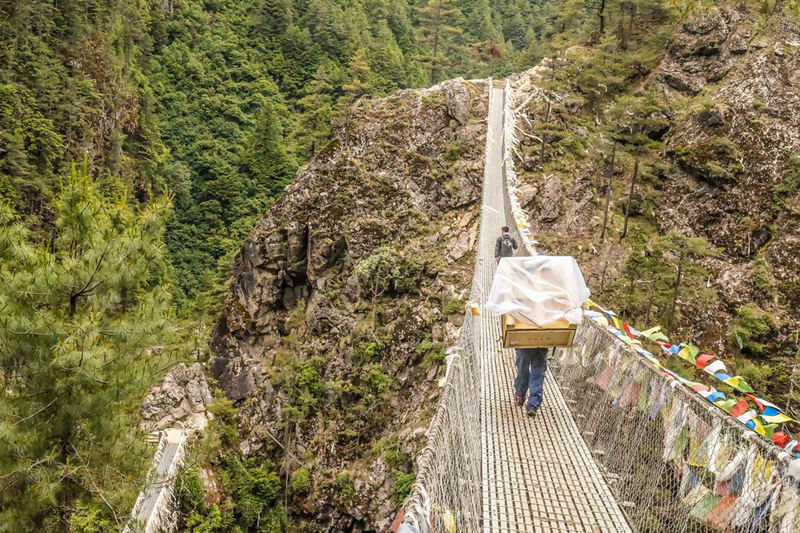 Delivering medical imaging equipment to the top of the world is not for the faint of heart. Capital Enterprises, a Carestream distributor, transported and installed a CARESTREAM Vita Flex CR System that provides imaging services to 8,000 local residents as well as mountaineers, sherpas and others who support those who dare to climb Mount Everest. The Kunde hospital is located 15.3 miles from Mount Everest Base Camp. The imaging system was transported by plane to Lukla, Nepal, which is ranked as the world’s deadliest airport due to its high elevation and unforgiving terrain. From there porters carried the X-ray equipment on their backs for 18.6 miles to the hospital, which is staffed and operated by local physicians and nurses. The Carestream Vita Flex CR system is used by medical staff to capture digital X-ray images of shoulders and extremities that have been broken or sprained; the head and neck area to diagnose sprains or concussions; as well as chest exams that may indicate a patient has pneumonia, altitude sickness, or evidence of a heart attack or other serious medical conditions. “These imaging studies are essential to diagnosing diseases and injuries to climbers, sherpas and other workers at base camp. The images are available in minutes and physicians decide if a patient can be treated at the hospital or must be transported to Kathmandu by helicopter or airplane,” said Charlie Hicks, Carestream’s General Manager of Global X-ray Solutions. Kathmandu is 85 miles from Kunde Hospital. The Kunde hospital is located at 12,600 feet above sea level and was founded by Sir Edmund Hillary in 1966. Previous articleMerry X-Ray Acquires Nationwide Imaging Services Inc.